Education is a key part of the Royal Highland Show (RHS) and the Royal Highland Education Trust (RHET) has a packed programme of events planned for 300 school groups and 30,000 children over the four days. In the Education Centre, the Quality Meat Scotland (QMS) Scotch Beef cookery theatre will give pupils the chance to cook with fresh, seasonal and Scottish produce as well as exploring healthy eating habits. Seafood in Schools will demonstrate where seafood comes from, explore sustainable seafood species and discuss various careers and processes in the seafood industry. 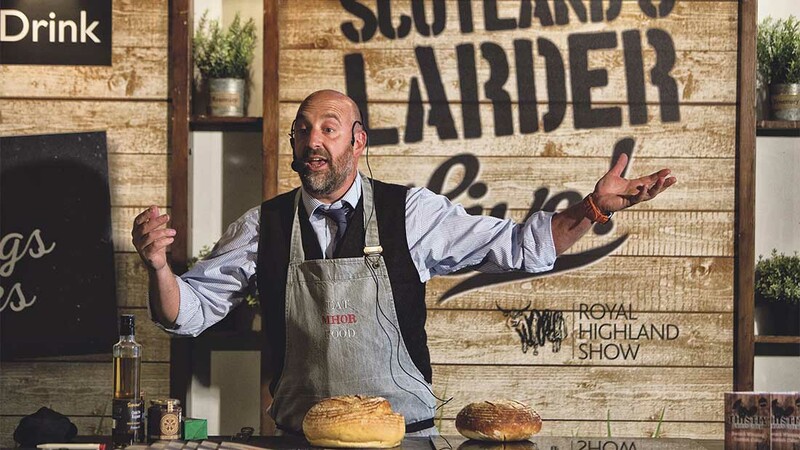 Scotland’s Natural Larder will run a workshop connecting people with Scottish, seasonal and wild food which has been sustainably harvested or hunted. Science and Advice for Scottish Agriculture (SASA), SP Energy Networks and RHET will also delivery additional sessions. The James Hutton Institute will be investigating the sceience that goes into our food and Scotland’s Rural College (SRUC) will be available to answer questions pupils may have about courses and future careers. RHET will be running a careers networking event for secondary school pupils with the help of Lantra, SRUC and the Scottish Food and Drink Federation. RHET will also be running its first show-based teacher training session. The food chain careers session will take place on Saturday, June 25, and aims to explore interdisciplinary learning and demonstrate skills and research in the agriculture sector.